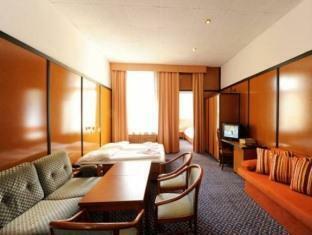 Have a question for City Hotel Am Kurfuerstendamm? 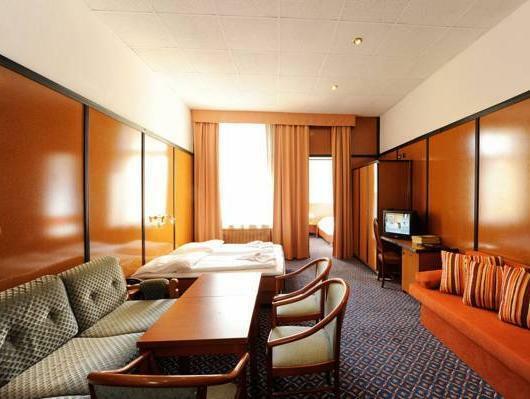 Renovated in 2004, the City Hotel Am Kurfuerstendamm guarantees guests a pleasant stay whether in Berlin for business or pleasure. The excitement of the city center is only 0 km away. With the city's main attractions such as Nanos, Konrad Adenauer Denkmal, Absolut in Mode within close reach, visitors to the hotel will just love its location. 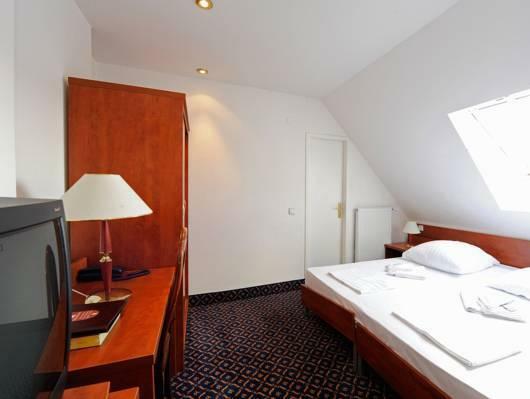 The facilities and services provided by City Hotel Am Kurfuerstendamm ensure a pleasant stay for guests. 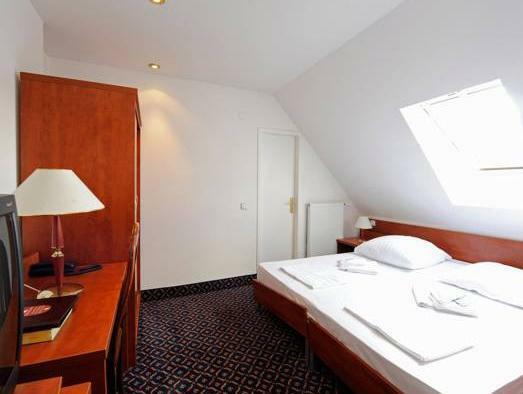 Free Wi-Fi in all rooms, 24-hour security, taxi service, 24-hour front desk, express check-in/check-out are just a few of the facilities that set City Hotel Am Kurfuerstendamm apart from other hotels in the city. 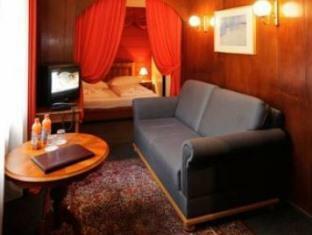 City Hotel Am Kurfuerstendamm is home to 41 bedrooms. All are tastefully furnished and many even provide such comforts as heating, wake-up service, desk, alarm clock, telephone. Besides, the hotel's host of recreational offerings ensures you have plenty to do during your stay. 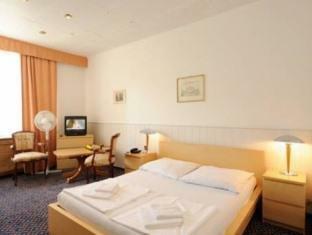 City Hotel Am Kurfuerstendamm is a smart choice for travelers to Berlin, offering a relaxed and hassle-free stay every time. nice hotel. good location. Very friendly stuff! Clean rooms. Comfortable beds. 50 meters to S/U bahn. Supermarkets, cafes next step from the hotel. Near the bus stops and shopping district. We were also able to enjoy the Kurfurstendamm Christmas market. The space is just right for 2 people with large luggage. There's a closet and heater beside the bed. The toilet was clean and well-lighted. The staff were extra-friendly and helpful! Breakfast buffet was sufficient and fresh. Awesome and friendly staff! I've booked and paid for an economy single room on the 5th floor, but they let me live in a double large room with a bath and all facilities for some reason. Was it a pure luck? :) Everything was just great. 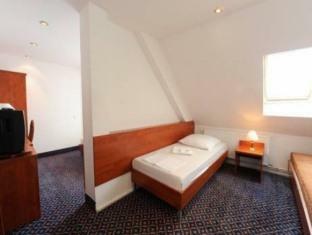 The location is good and it is reasonable value for money but it is a bit tired and drab - not as good as the photos. I was told abruptly (even though I nominated 11.00 am on-line) when I turned up at 11.00 that there was no chance of checking in early. I came back as suggested at 2.00 pm and it was appalling - very slow. Wasted time! Was disappointed that I got bitten by several bed bugs for the two nights stay, the breakfast was good but the rooms were small and the floor was creaking with old wood with alot of dirt. 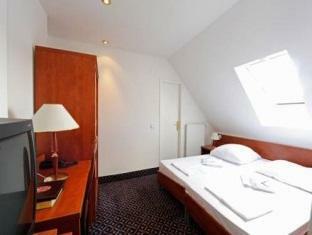 Great, comfortable and cheap place in the citycentre right next to the metrostation- good breakfast- stay there again! Fairly good. The problem is I stay on the fifth floors which is very hard to reach!!!! Further more, All staff knew that internet is nor working on that floor. But they don't fix it. Two things that I liked : not far from Ubahn and free Inet. Other things are bad. I was unsatisfied and disappointed. La habitación estaba en el quinto piso, abuhardillada.sin ventilación ( la ventana estaba condenada), sin teléfono . El ascensor solo llegaba al cuarto piso. Habia una escalera de caracol (23 escalones para acceder al quinto piso). La televisión no funcionaba. Ademas, y esto es lo mas importante . a las diez de la noche del jueves 6, alguien que dijo ser de recepción, aporreó la puerta de mi habitación pidiendo que bajara a recepción para no sé qué trámite. Por supuesto no bajé y cuando al dia siguiente informé a recepción se extrañaron mucho y me pidieron disculpas, aunque tuve la sensación de que la persona que llamó no pertenecía al hotel y era alguien "con no muy buenas intenciones ". Personal ist sehr freundlich, die Gäste von Jung bis Alt alles vertreten, 24Std. besetzt, Aufzug, typ. älteres Gebäude mit viel Holzverbaut. Für 1-3 Nächte ist das ganz OK.
Kann man gerne für 1-3 Nächte bleiben, sehr gut und Zentral gelegen. Es ist eben ein altes Gebäude und viel Holz verbaut. Personal ist sehr freundlich und die Gäste sind von Jung bis Alt vertreten. Aufzug vorhanden, 24Std. besetzt.